First of all, as promised here are the accessories that my "magic dress" magnetized towards me! I was planning to wear either liquid leggings or suede leggings but it was too hot as usual. 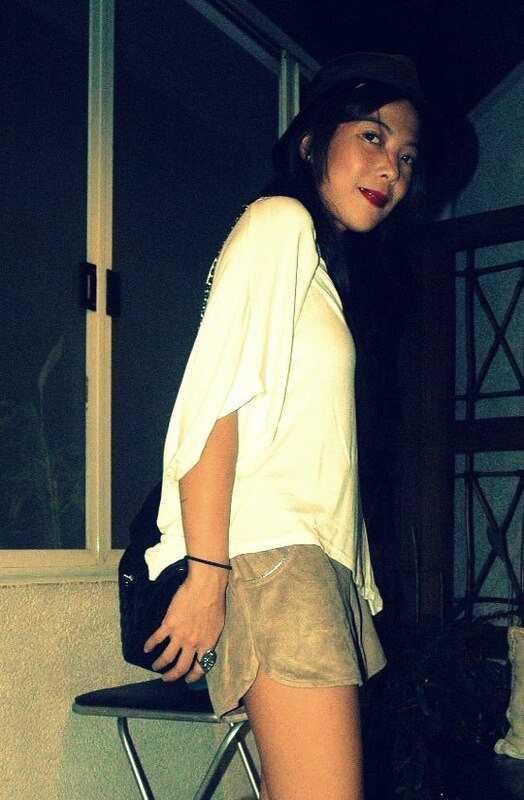 Weather just seems to be getting warmer and warmer as the days go by so I opted for suede shorts instead. About the concert, I thought we were getting all access passes so we didn't bother making it extra early to Araneta. We got there around 730 and probably spent close to an hour just looking for a parking slot. We were finally able to park our car blocks away at the Aurora Towers building. I have never in my life seen Araneta as jam-packed as it was last night. I didn't realize how big a fan base The Script has garnered in the PI. I'm not really a fan, I only know the song "Breakeven" (LOL) but I'm sure I've heard some of their other songs on the radio. So anyway, when we got there, we were given complimentary tickets instead of the press passes. We didn't bother questioning cause there was a really big crowd gathered around the table. We just got our tickets and headed inside. The concert was already starting and our tickets were for Upper Box B. Needless to say, could find a seat. Had to stay along the stairs and I got really irritated cause there was this pa-Diva girl who kept getting in my face and telling me she couldn't see the show because I was blocking her view. It's a concert for christsakes! Stand up like everyone else! So I didn't finish the concert. Dennis was already irritated way before I was so I decided to heed his advice and leave. My sister-in-law who is really a The Script fan stayed behind and finished the show.They sang all their hit songs and he really made an effort to connect with his Filipino audience. Even trying to speak the language and create an informal vibe by having a drinking session with his band on stage during the concert. I think they were downing Heiniken's. My sis-in-law's review of the concert: "I never realized it before pero and pogi nya pala!" The concert coincided with Araneta Center's 3-Day Sale. While killing time and waiting for the concert to end, me and Dennis decided to have a late dinner and stroll around the mall before it closes. I naturally bought a pair of shoes. Ugh! Such a lengthy post, sorry about that. I'll go check on your blogs now. Have a great weekend! ooh...you made that tassle-filled necklace! you're one talented lady! :) just love diy! OMG I really wanted those clogs! 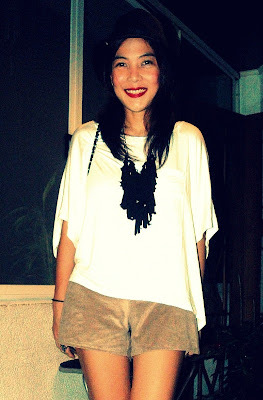 But I chose the wedges over those cos I found them more versatile. They are so freaking gorgeous though. Maybe I should try to catch the sale. you're lucky to have witnessed the concert. and i won't have the experience like you did with the diva lady! my concert is general admission! i love the shoes you bought though! great alternative to the concert! 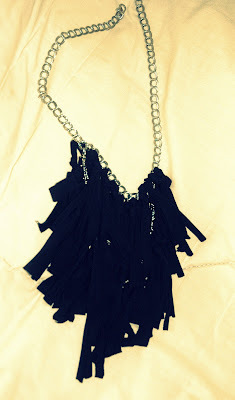 and the fringe necklace you made is so cool! Love elephant and your shoes are amazing! 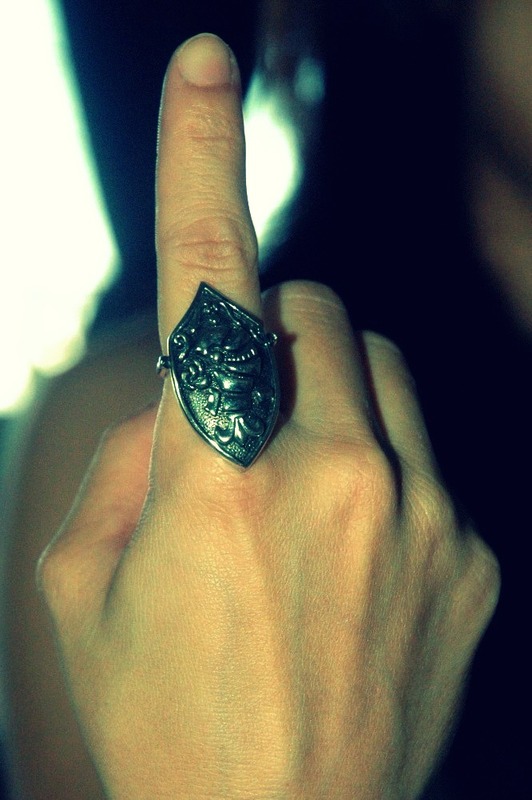 I like the ring you got! And I ended up buying a pair of CMG shoes the other day as well! :) I was considering the pair you chose also. Wow!! how many beautiful accessories! !love them ALL!!! and thanks for your comment , new brief post today:-) what about following my blog? of course i'll return the favour!! Oh gosh, you were there too? Awesoooome. Love your outfit too! The Script was amazing, weren't they? I love that they maintained eye contact with the audience and they would even sing to our cameras. Dayum wala ako masabi. Hi, thanks for your coment. Nice outfit! I love ryour necklaces, the elephant is really cute! and the shoes omg, awesome! I only know two songs of the The Script. Lol. great look! 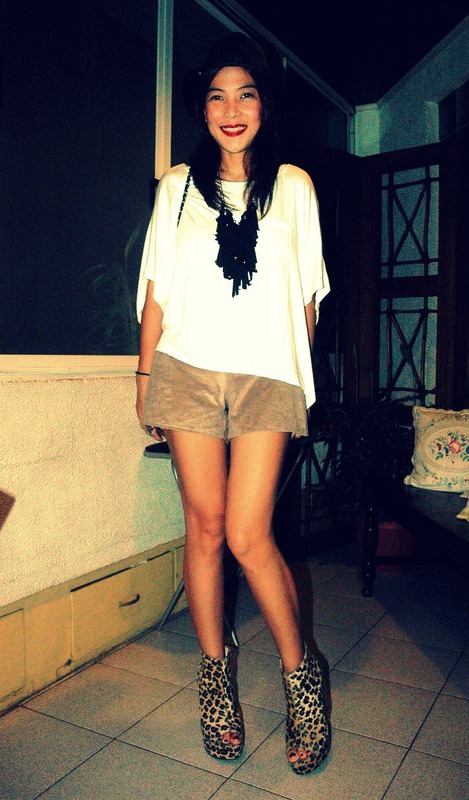 love the shoes you bought. wow! 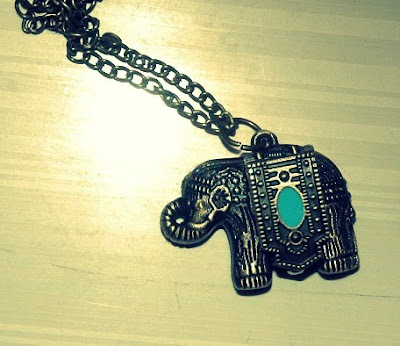 the elephant necklace is so cute! I adore elephants and this is so cute. I love your accessories. I hope you had a great time! Breakeven is one of my favorite songs from them. 2. i also get irritated with tose pa-diva girls. gahd, bat d nalang kaya sila bumili ng super VIP ticket o di kaya backstage pass? 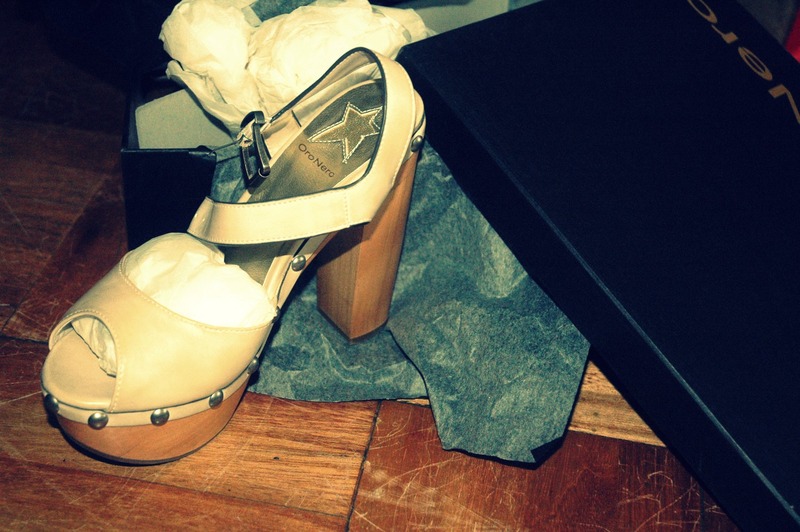 3. oh my, new shoes? SCORE!!! thank you for your comment deary! i LOVE that elephant pendant. AND it's a clock too!? what a gem! I really admire u! what girl in the world uses heels for a concert!? Cool outfit. I love the animal print boots under it. I have a very similar fringe necklace. Yours came out so cool. Ooh..too bad you didn't finish the concert anymore. But atleast you were able to buy new shoes! haha I love the elephant necklace, so cute! lovely outfit!!! I adore the necklace!! !